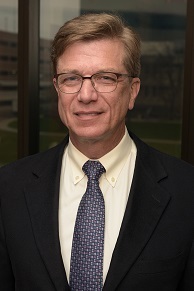 Gerold Bepler, M.D., Ph.D., president and chief executive officer of the Barbara Ann Karmanos Cancer Institute and chair of the Wayne State University Department of Oncology has been elected to serve a three-year term on the Association of American Cancer Institutes Board of Directors, effective Oct. 15. The AACI comprises 97 leading cancer research centers in North America and is dedicated to reducing the burden of cancer by enhancing the impact of those centers. "I am honored and pleased to be elected to the AACI Board of Directors that represents elite cancer centers across the country," Dr. Bepler said. "I look forward to collaborating with fellow board members to help cancer experts advance this nation's cancer care." Dr. Bepler is a world-renowned thoracic oncologist who has spent his career researching risks, progression, treatments and outcomes related to lung cancer, with a special focus on non-small cell lung cancer. He is credited with creating the Karmanos Cancer Network, Michigan's largest cancer care and research network, with 14 locations throughout the state. Since joining WSU and Karmanos in 2010, institutional funding from research grants and contracts has increased from $65 million to $80 million annually. Karmanos is one of only 49 National Cancer Institute-designated, comprehensive cancer centers in the United States. Dr. Bepler is principal investigator of the NCI Comprehensive Cancer Center Support Grant. He is a member of the Women's Choice Healthcare Advisory Board with WomenCertified Inc. (2014-present) and was nominated and elected in 2012 to the internationally prestigious Fleischner Society for Thoracic Imaging and Diagnosis. The AACI includes National Cancer Institute-designated centers and academic-based cancer research programs that receive NCI support. An element of AACI's mission is to assist the centers in keeping pace with the changing landscape in science, technology and health care. AACI does this by gathering and sharing best practices among cancer centers, providing a forum for members to address common challenges and explore new opportunities, and supporting initiatives that engage the membership in developing specific recommendations.